Although air shipping can be a convenient option for your business, in many instances, traditional ground shipping methods simply make more sense. Ground logistics can be used for both short and long distance freight and services can be customized to your specific needs. In today’s blog, learn more about ground logistics basics and how your company could benefit from them. Ground logistics is a flexible and affordable shipping option that’s right for many businesses. One of the greatest benefits of ground logistics is its flexibility. If your shipment won’t fill an entire truck, you can choose less-than-truckload shipping (LTL) instead of paying for space you don’t need. LTL shipping is suitable for shipments that are between 100-15,000 pounds and at AFP Global Logistics, we will ensure that your shipment makes it to its final destination within 7 days or less. If you have enough freight to fill an entire truck or if your goods are heavier and will weigh between 10,000-45,000 pounds, full truckload shipping (FTL) is the ideal solution. Your FTL shipment will be delivered safely and promptly and will meet your budget and timeline. 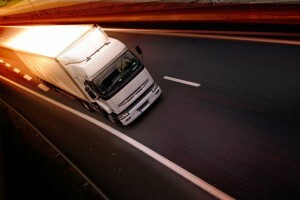 Another benefit of ground logistics is that you can choose trucks that will meet the specific needs of your shipment. Whether you require refrigerated trailers, lowboy options, flatbeds, or trucks with special dimensions, AFP Global Logistics has extensive relationships with a number of trucking companies which allows us to meet any and all of your needs. When you choose AFP Global Logistics, you can be confident that your ground logistics needs will be met with guaranteed-safe delivery, fast shipping, and reliable trucks that will go above and beyond your expectations. Get in touch with us today to find out more about how we can make your ground shipping logistics a breeze. If you are looking for trustworthy and expert logistics company that understands the ins and outs of ground shipping, look no further than AFP Global Logistics. We provide a full range of shipping and logistics services, and our 25 years in the business have given us the tools we need to create customized logistics solutions that are tailored to the needs of each client we serve. For more information or to start designing your own logistic solutions today, get in touch with AFP at 410.590.1234 (toll-free 800.274.1237), email us at info@afplus.com, or fill out our quick and easy contact form here! This entry was posted on Friday, August 12th, 2016	at 1:22 pm	and is filed under Shipping Methods	. You can follow any responses to this entry through the RSS 2.0	feed. Both comments and pings are currently closed.